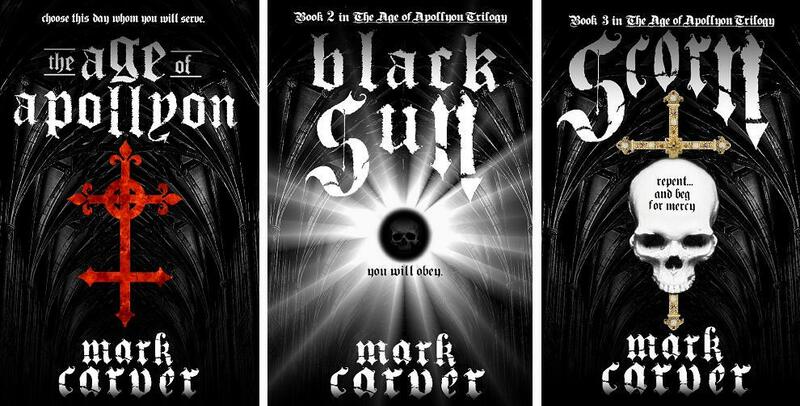 Speculative Faith | Indie Novelist Mark Carver: How Dark Is Too Dark? Are there limits as to how dark Christian fiction can be? Where is the line between reveling in the darkness and using it as a tool to turn readers towards the light? 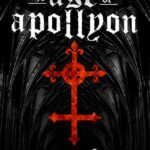 I am the author of The Age of Apollyon Trilogy, a series that imagines a world where the devil has physically revealed himself while God remains silent. Satanism becomes the dominant world religion and the protagonist of the story is a practicing Satanist. You’re probably never going to find these books on the shelves of a Family Christian Bookstore. When I was writing these books, I was constantly asking myself the question in the title of this article: how dark is too dark? I was writing books about Satan, a Satanic world, Satanic people … but was I going overboard? Was I stepping over the line of necessity into gratuitousness? I wanted the books to be startling and even shocking at times, but the writing process felt like trying to rein in a runaway horse. It was very hard doing the research for these books. I had to investigate rituals, incantations, terminology, and put myself in the frame of mind that my protagonist existed in — namely, despising God and embracing the darkness. It was mentally and spiritually exhausting and I could feel the darkness pressing on my mind all the time, affecting my mood, pulling me away from the light. I was very glad when these books were finished. I set out to write these books with the primary purpose to entertain, but I also wanted to convey a message. So I had to ask myself: what message? God is good, Satan is bad? Real men don’t worship the devil? As the story took shape, I realized that it wasn’t about the battle between Heaven and Hell; it was about the battle within the human heart, between the root of evil that already exists there against the redemption that is so simple and yet so hard to accept. I wanted to plumb the depths of depravity in order to show how necessary that lifeline is to us fallen creatures. So plumb I did. In fact, I feel like I kept things pretty tame. It could have been so easy to let the dog off the leash and revel in shock and horror but that would have overridden my purpose. I’ve come across several books in the Christian underground that examine the depraved human soul in order to elucidate the need for a Savior, but sometimes they come across as thinly-disguised horror schlock. I wanted to pattern my books after the Gothic classics that inspired me: The Hunchback of Notre Dame, The Monk, and Dracula. Bram Stoker’s masterpiece was particularly instrumental, because the terrifying darkness that permeated the story was offset by the heroes’ unwavering grasp on the light of Heaven to help them defeat evil. That was the kind of energy that I wanted to flow through my story, though I took sort of a reverse approach to reach the same destination. But how dark is too dark? Is it permissible to include horrific and explicit elements in a story intended for the Christian market? My answer would be: it depends. It really comes down to the author’s motivation for including these elements. Are they just trying to stand out and attract secular readers? Are they trying to make Christian fiction more mainstream? Are they a bit twisted in the head and need an outlet for their dark fantasies? Or are they trying to turn the dark eyes of the world towards the light of redemption? A tiny candle flame burns brilliantly in a dark cave; without total darkness, it is hard to appreciate the relief and comfort that light brings. I believe this is why God allows such evil to exist in the world — to bring to our attention our desperate need for salvation and deliverance from the evil that we perpetuate all by ourselves. And who says it can’t be the same in the world of fiction? If the darkness is shown to be just that, and not as something intriguing, appealing, or liberating, then there are no limits. But those of us who unleash the darkness have a responsibility to point the way to the light. There’s enough horror in the world as it is. Aaaaand I’ll just admit that I couldn’t pay attention to the rest of this article because I had to suppress the urge to headdesk because we do not need anymore Satanic Panic bullhonkle to haunt us with the unfounded hysteria from the ’80s and ’90s. I’ll come back later when I can talk about how much grimdark is too grimdark. Hey, if it appears to be dark and grim and demonic and nasty and abusive then it probably is all those things and should be forever feared and avoided, right? Oh, wait … that’s exactly what led to the unfounded hysteria from the ’80s and ’90s. I think it’s a good rule of thumb that if the synopsis sounds like a thing that could come out of Pat Robertson’s mouth, then something needs to be re-thought. But this sounds like a good opportunity for a drinking game. Even with only 3% stuff, how long would it take me to get buzzed and/or drunk if I took a drink for every ranty-old-white-Christian trope that popped up in these books? Coming to a Blarg near you. But grimdark. Perhaps the question should be “how much gritty dark can a Christian author get away with?” And that probably depends on storytelling skill level. We’ve all heard someone say that the story was good enough they put up with fanservice/boobage/language/whatever. Actually these books are quite far from “Satanic panic.” The series is more about people than about the devil and his minions. Satan only shows up for a couple of paragraphs in the entire trilogy. I wouldn’t call his books “satanic panic.” Mark twists some tropes, and writes about a world where Satanism is an actual majority religion in the west (due to end times events,) in the same way Christianity is now. There’s some interesting points about whether or not Christians should fight such an obviously hostile power, and how such a dark church would exist when it’s founded on evil. I need to finish up his series, but it’s not vanilla end-times stuff. There’s more meat to it than you’d think. The Crossover Alliance guys have done some interesting edgy Christian books, and they are worth checking out. They’re more experimental than much of the audience here might like, but they work well if you’re tired of the same old YA fantasy. Except Satanism is not a religion that exists outside of TV plots and an occasional group of ignorant bozos who think they’re edgy for making pentagrams. Unless they’re ironic Satanists: atheists who use Lucifer as a metaphor of rejection of the idea of (the Judeo-Christian) God. So I’m not going to be able to take it seriously if he uses the tropes of reversed crucifix (AKA cross of St Peter), Baphomet, pentagrams, and/or baby sacrifice (possible abortion soapbox [drink!]). I’m willing to be wrong about it, but I don’t think I’m nearly as wrong as that. Years of cynicism and TVTropes have built up my cliche-radar. And there’s a bunch of ranty-old-white-Christian tropes to get drunk on that don’t depend on Satanism. I spotted two just in the Amazon synopsis. I think you’d have to read it and see. I know that modern satanism is just philosophical hedonism in disguise, but the religion in his book combines that with the human need for ritual and transcendence and adds a gothic/horror gloss. I’m aware of Christian cliches about Satanism, but he does twist them quite a bit. it’s a lot more credible version of typical endtimes stuff. It’s something blurbs don’t really show, though. Another book that might be considered is Keven Newsome’s Winter. It’s a bit rough, but he’s surprisingly respectful to the main character’s Wiccan past, and does a lot of stereotype avoidance in it. @notleia – That’s exactly my point with these books. I wrote them with the specific intention of being the antithesis of the typical end-times Christian fiction story. It’s not even “end times”…the world goes on just fine after things get turned upside-down. Satan doesn’t want a church. He doesn’t want sacrifices and incantations and goats and bloody pentagrams…those are things that people have created, because we find shelter in rituals (on both sides of the religious fence). Satan wants destruction, pure and simple. How he goes about achieving that is up for grabs, because as long as it detracts from God, he’s happy. And if a “Satanic” church is part of that equation, I’m sure he’d have no problem with it, but that’s not his goal. He knows he’s doomed; he knows setting up a kingdom on Earth is futile. He just wants to take as many people with him when he falls. The tropes and cliches in these books are largely satirical since they elucidate the point I’m trying to make (I really feel like the “devil’s advocate” with these books :-P). And I do want them to be entertaining, which means a good deal of theatrical atmospherics. But I guarantee that these books are far from what you’re imagining them to be. Satan just lights the fire…it’s mankind that runs with it and sets everything ablaze. I have exactly one thing to say here: those covers are BOSS! Also, cool idea for a series. (okay, two things). I’m going to read these. I actually have a lot of fun with the question: does Satan really want a Satanic church (ritual sacrifices, pentagrams, etc.)? In writing these books, I had to think about what the devil really wants for this world, and the conclusions I found myself let to surprised even me. I saw an interview with Alice Cooper in which he described the “Satanic” black metal scene in Scandanavia: “That’s not Satanism; that’s Halloween.” I think Satan would feel the same way about the “Satanic church.” In these books, I saw Satan as being the un-God, diametrically opposed to everyone God is and does. What does God do? He creates, and He loves what He creates. Therefore, what does Satan do? Can I have your permission to link this post to my blog? 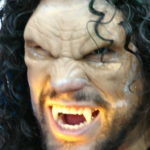 I have a page of Articles of Interest and this article would help get dark spec fic out there. I can also link this to my review of this trilogy when I read them. I’d be happy to give you an opportunity to showcase your work on my show, the Write Stuff. 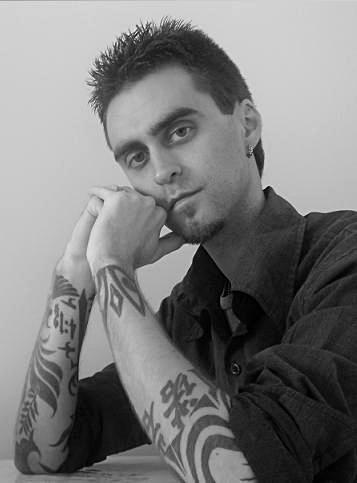 I’m all for Christian spec fiction authors and I can tell I’m going to like your books. It’s up to you if you’d like to be on my show. If it’s not something you can commit to now, you certainly can whenever you’re ready. The offer is standing. You can go to my website at parkerjcole dot com and hear an archive to see if it reaches your outreach needs. Even if it doesn’t, I can’t wait to read your books!